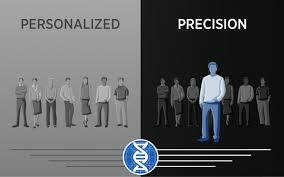 Medical model of Precision medicine (PM) is a robust customisation of healthcare, with medical decisions, practices, or products being tailored to the individual patient. Voluminous data and the age of meta analysis is likely to support this function of medicine as a futuristic goal of most treatments combining Blood work, Genetics, Imaging and overall performance status. At AceProbe we, collate, analyse and help discover insights into aetiology, manifestations and current forms of treatment available to the genetic makeup, best valuable research evidence and population data to help select the optimal treatment across many chronic diseases including risk stratification of Diabetes, Oncology, and Functional Characteristics of each therapy across the lifecycle of diseases. Our offerings include Molecular Estimations, NGS panels, Mutations, Bioinformatics and established calculators of medicine to turn around personalised treatment options that are most likely to work and save precious time and money across conditions, side effects and benefits that could be derived from Functional Integrative Medicine.